Tour Highlights : Cotentin peninsula wilderness, Mont St Michel, D-Day landing beaches, sea-resort of Deauville, harbour of Honfleur, white cliffs of Etretat, Normandy suspended bridge. A silence reigns on the Normandy beaches which saw thousands of men landing during the darkest time in France’s history. Omaha Beach, Juno Beach, Sainte-Mere-Eglise, and many other locations in this region provide a window into the past and a glimpse of the madness of mankind. But squalls on the cliffs of Etretat and carpets of wild heather and gorse along the Cotentin coast will soon sweep the dark clouds from your thoughts. 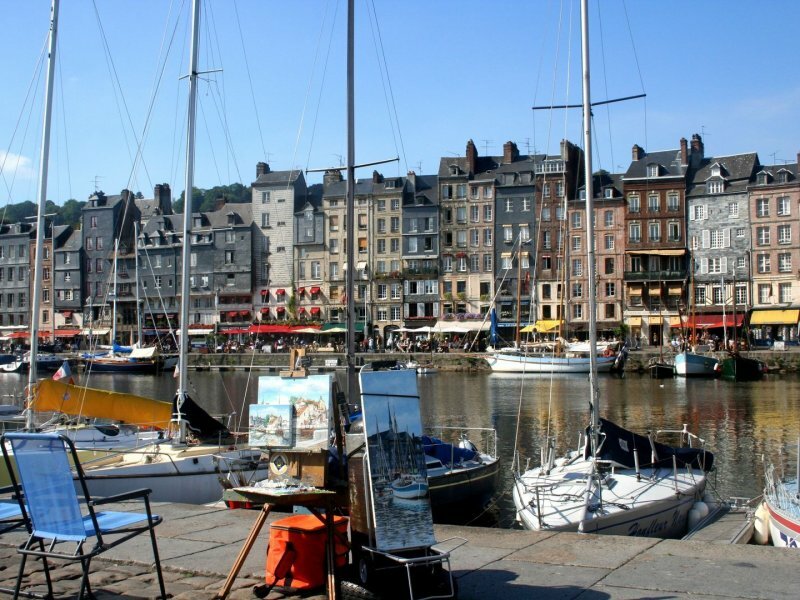 Twisty country roads follow the coastline and will take you from one beautiful port town to another, including Deauville, Honfleur, Le Havre and Cherbourg. 6 hotel nights in two and three star hotels (standard) or three and four star hotels (superior) with continental breakfast. Tour information package with road-book and travel tips (paper and GPX files).